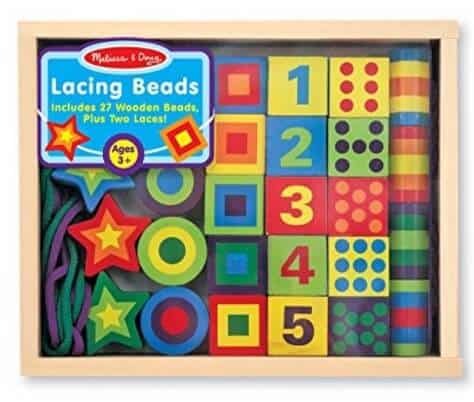 The Melissa & Doug Deluxe Wooden 27-Piece Lacing Beads in a Box is on sale for $12.99 at Amazon right now. That's 24% off the list price of $16.99! Wooden beads in familiar shapes. Set includes 27 beads and 2 laces. Beads feature numbers 1-10 both as numerals and as dots. Stored in a durable, handy wood tray. Promotes counting, shape recognition, hand-eye coordination and creativity.